Following a rigorous testing and evaluation process, the editors at Kelley Blue Book (KBB) have named the 12 best family cars of 2017. To come up with this year’s list, KBB tested last year’s winners against the best of the new and redesigned 2017 models. Last year, several sedans made it onto Kelley Blue Book’s Best Family Cars list, but sedans are noticeably absent from this year’s list. 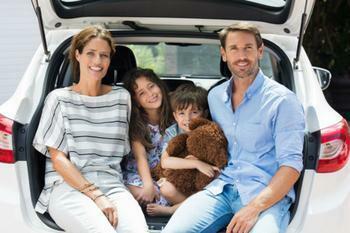 The experts at KBB say it’s clear that SUVs tend to outshine sedans in terms of family friendliness and cargo versatility. "Looking at sales trends, soccer field parking lots and school drop-off lines, it's clear that families have moved on from the family sedan, and now the modern family car is an SUV," said Jack R. Nerad, executive editorial director and executive market analyst for KBB. Each of the vehicles on KBB’s list was chosen for its inclusion of features that are attractive to the average parent. Throughout the testing process, KBB editors focused on metrics such as safety, value, reputation, comfort and convenience, cargo versatility, technology, and fit of various rear-facing and forward-facing child safety car seats. Affordability was also a key focus in KBB’s evaluation process. Family car shoppers may be pleased to learn that the starting prices for this year’s winners range from about $20,000 to the low $30,000 range, with the exception of one pricier vehicle (the Chevrolet Tahoe). Nerad added that SUVs and crossovers often check many of the boxes on a parent’s car shopping checklist, especially as they have grown more comfortable and fuel efficient over the years. “Car shoppers have demonstrated an increasing preference for the elevated driving position, superior cargo versatility and higher profile of SUVs, which make them more functional as family cars than traditional sedans,” he said. Kelley Blue Book identified the top four vehicles in each of three categories: best two-row SUVs for families, best three-row SUV for families, and best minivan for families. Here are the winners, listed in order of popularity based on sales volume.